We are thrilled to have this cracking filly coming to us to be trained. 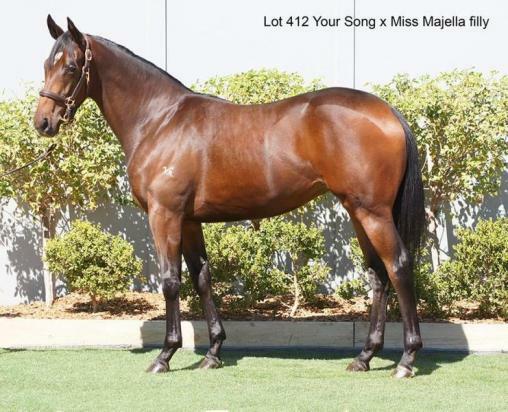 She's beautifully bred by Your Song out of Miss Majella. The breeder of this filly is retaining a share himself and rest of her is currently available. I am confident that she will be snapped up quickly so all enquiries please call Cameron Cooke on 0418 991 999.